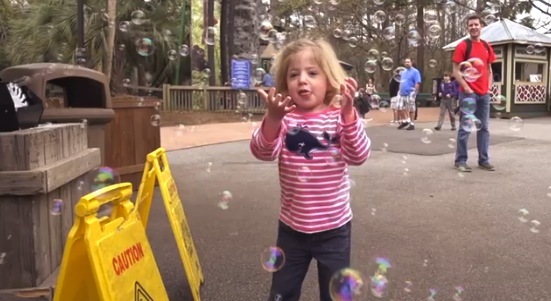 Cara and Glenn O’Neill’s life was shattered when they found out that their four year old daughter was suffering from a rare, and incurable neurological disorder. What made it worse was the news that there was perhaps a cure but not yet tested on humans. The family then took to the internet to raise money for the research and hold on to the only hope that could save baby Eliza. Eliza suffers from Sanfilippo syndrome, a disease that destroys brain cells and may kill young children even before they reach their teens. The couple also learnt through an internet search that many children begin to show drastic symptoms as early as 5 or 6 years of age – losing the ability to speak, walk or feed themselves. “That’s when my heart completely sank,” Glenn said. As the family continued to search the internet for some possible positive news, they found that Nationwide Children’s Hospital in Columbus, Ohio, researchers were working on a gene therapy that cured the disease but the experimentation had only been done on mice. The therapy could be tested on kids but for that the researchers needed a funding of $ 2.5 million to put together a clinical trial and because the disease was so rare, no drug company was eager to fund it. That is when the family thought of creating a video. It again began with an online search where Glenn googled ‘how to make a viral video’ to attempt and create a video for his daughter. Eliza is 4 and already approaching the point when the disease starts to show its dreadful affects. Her parents worry that even if the therapy may halt the disease it will not help get back the brain cells that Eliza has already lost by that time. The O’Neills created a homemade video as their first attempt on gofundme.com. They garnered donations but it was not enough for the clinical trial. That is when Benjamin Von Wong a Canadian filmmaker stepped in to help the family. He and his team created another video that spoke of the family’s history. The video with the hashtag #SaveEliza went viral and in six months it has already helped raise $523,000 for research. The couple knows that even if the clinical trial is successful it might not guarantee that Eliza will get better. Eliza may not be fit for the trial, it may not work as it is still in the experimental stage, but they are still hopeful as are the researchers. 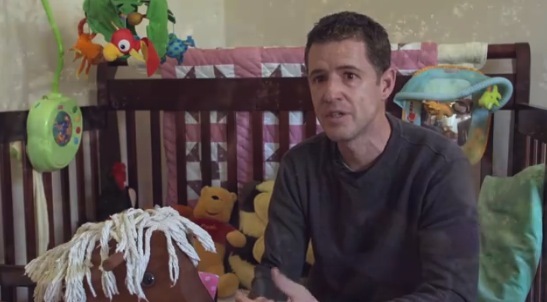 Dr. Kevin Flanigan, a principal investigator at The Research Institute at Nationwide Children’s Hospital and a professor of neurology at the Ohio State University College of Medicine explains that children with this rare disease are born with two copies of a faulty gene. The gene makes an enzyme that breaks down long chains of sugar molecules called glycosaminoglycans, or GAGs. They “are the glue that holds cells together. Because the enzyme needed to break the GAGs down is missing, that “glue” just keeps accumulating in the cells, gunking them up and eventually killing them,” he explains. He adds that the money raised by the O’Neills will be enough for them for the clinical trial where they plan to attach functioning copies of the gene to a harmless virus that is injected into the patient. Haiyan Fu, the researcher who started the project about 16 years ago and a principal investigator at Nationwide’s Research Institute says that this harmless virus can be injected intravenously instead of directly into the brain. The virus “infects” cells with a working copy of the gene, and delivers a correct copy of the gene to enough cells that it can fix the damage. The challenging part is that while the test has been immensely successfully in mice, it might not work in humans. Dr. James M. Wilson, director of the gene therapy program at the University of Pennsylvania says that the body might react badly to the therapy and start an immune response. But for Eliza, the therapy seems to be the only choice to move ahead. She stresses that it is often the parents that help push such researches in rare disease and help speed up the process. Jennifer Seidman’s son Benjamin was also diagnosed with Sanfilippo syndrome when he was two. She started Ben’s Dream — The Sanfilippo Research Foundation, Inc. hoping to raise money for the research and a possible cure for her son. But Benjamin died this February just short of his 18th birthday. For Eliza there is still hope and a strong support system of her family, friends and well wishers. Mostly of the researchers who are working to ensure that she can live much beyond her teens.